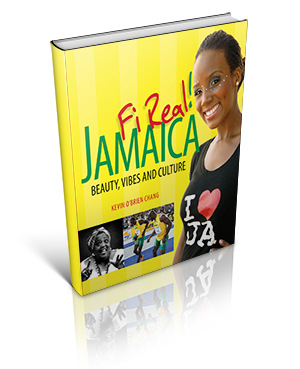 " Expertly captures the essential Jamaica. This is special..... a classic. " "The full tapestry of Jmaica, eleciting your smiles, even uproarious laughter." Ian Boyne, Tv host and columnist.
" Required reading for anyone anywhere who has interest with Jamaicans. Fi Real. " " An engaging, insightful, and wonderfully told story. A must read. " Cliff Hughes, CEO Nationwide Radio. Beautiful; aggressive; exuberant, talkative; humorous; resourceful; unpredictable – Jamaica brings many adjectives to mind, but boring is not one of them. Author of bestselling book Reggae Routes: The Story of Jamaican Music and longstanding columnist with the Jamaica Observer and the Jamaica Gleaner newspapers, Kevin O’Brien Chang, paints a real and insightful portrait of Jamaica looking at its music, culture, sports, religion, history and people.